Manufacturing in Chicago has taken another dive as the snack bakery that makes Oreos, Wheat Thins and other popular snacks is closing half of the plant and moving it to Mexico. 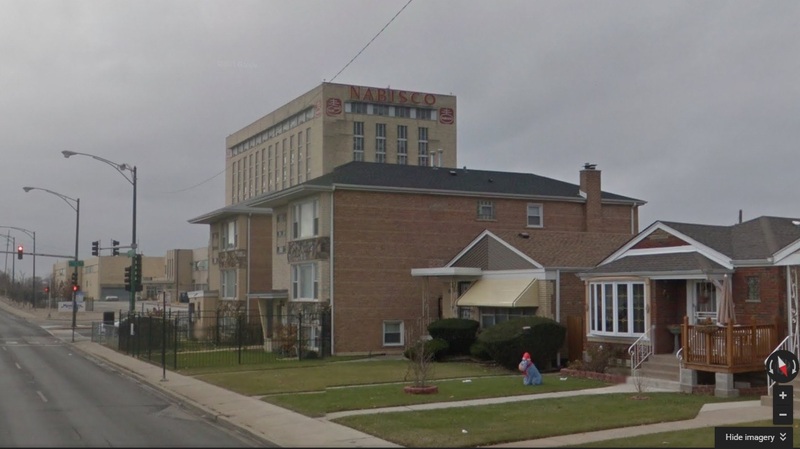 The plant is located in the Chicago Lawn community at 73rd and Kedzie. The international conglomerate, Mondelez (formerly Nabisco), says the manufacturing plant needs $130 million in upgrades. This is after the company already received huge tax incentives to upgrade the plant in the 1990s, when the company was threatening to leave Illinois. Mondelez brings in over $34 billion in annual revenue and pays its CEO over $20 million each year. Moving the plant to Mexico will eliminate 600 union jobs while bringing $1.5 billion in profits to its stockholders. According to the Bakery, Confectionery, Tobacco Workers and Grain Millers International Union (BCTGM), Mondelez is still going to spend $130 million to upgrade the new plant in Mexico, but production costs are projected to save the company $46 million – by paying its workers $2 per hour. Median family income in the Chicago Lawn community where the plant is located is about $47,000 and the average hourly salary for employees at Mondelez is about $26, which translates to roughly $54,000 per year. These are good union jobs. In fact, there are five different unions employed at the plant. What Mondelez is doing to the workers at its Chicago Nabisco Bakery is emblematic of the pernicious corporate business model that has taken hold in this country; a business model that is predicated on the maximization of corporate profits and executive compensation through the elimination of good, middle-class jobs in U.S. factories concurrent with the expansion of production in unregulated factories in very low-wage countries around the world; a business model that is battering American workers and middle-class families. Illinois was a “leading industrial state” after WWII. Metropolitan Chicago is currently the second largest manufacturing cluster in the country, after Los Angeles. Yet, in the last decade, there was a 30% drop in core manufacturing positions in the metropolitan region, and most of the jobs that remain are out in the suburbs. The loss of over 150,000 in the region can be attributed to companies moving overseas and some technology replacing workers, although the Economic Policy Institute reports that a nationwide loss of 5 million manufacturing jobs in the last 15 years is mostly attributable to trade deficit, in which countries like China manipulate their currency to artificially lower the price of production and make products cheaper for consumers. Whatever the precise cause for the loss of manufacturing jobs, one thing is clear: 600 families in the Chicago Lawn community will now be struggling as they look for new employment. The children of these 600 workers will undoubtedly start this school year stressed out over family finances. This stress will affect their ability to focus on learning in school. As Mondelez’s stockholders applaud the decision to move the plant out of Chicago to boost profits, Chicago families will have to find the cheapest school supplies and cut back on non-essentials – while the CEO and its stockholders are planning their next luxury vacation. jobs, manufacturing, outsourcing, Southwest Side, stress, unemployment, unions. Bookmark.